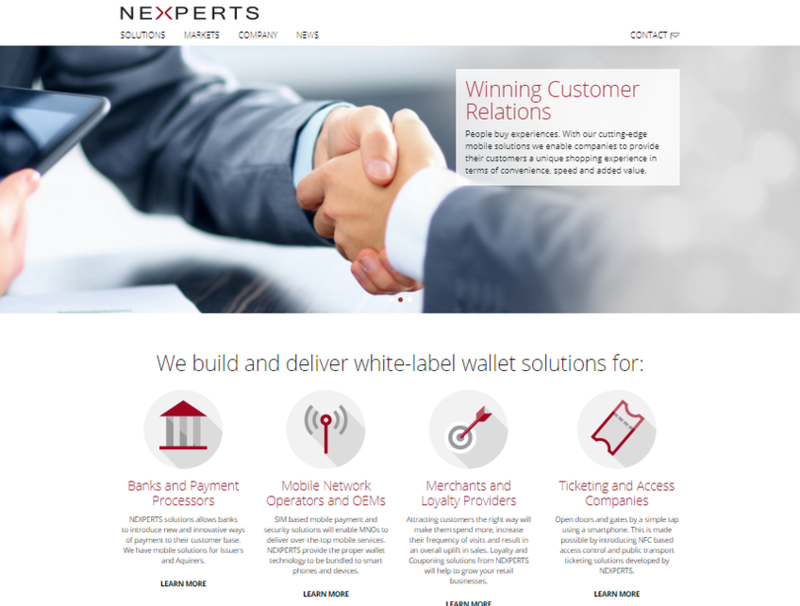 NEXPERTS is a leading provider of mobile contactless solutions in the areas of payment and loyalty. The product portfolio comprises certifiew white-label mobile wallets for payment systems as well as solutions for value added services like loyalty and couponing. Contacless payments based on NFC is supporting MasterCard PayPass, VISA PayWave and AMEX profiles using SIM, eSE, Cloud Based Payment (CBP) & Host Card Emulation (HCE) as well as scheme tokenization services like MDES and VTS.